With many people chained to desk jobs, National Gardening Exercise Day is a great excuse to get outdoors, garden and get some exercise at the same time. 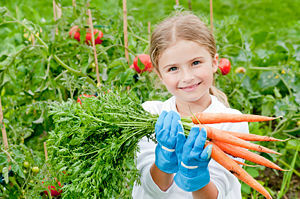 Experts say that various gardening activities have both aerobic and muscle building benefits. In fact, it's estimated that an hour of general gardening will burn 272 calories, enough to burn off a Grande Starbucks Caffe Latte - made with whole milk. Whereas, mowing the lawn and weeding can burn 374 and 306 calories per hour, respectively. Research by chocolate zen garden blog indicates that evidence points to this holiday originating via various garden clubs and organizations. This page was last modified on 6 July 2014, at 16:30.